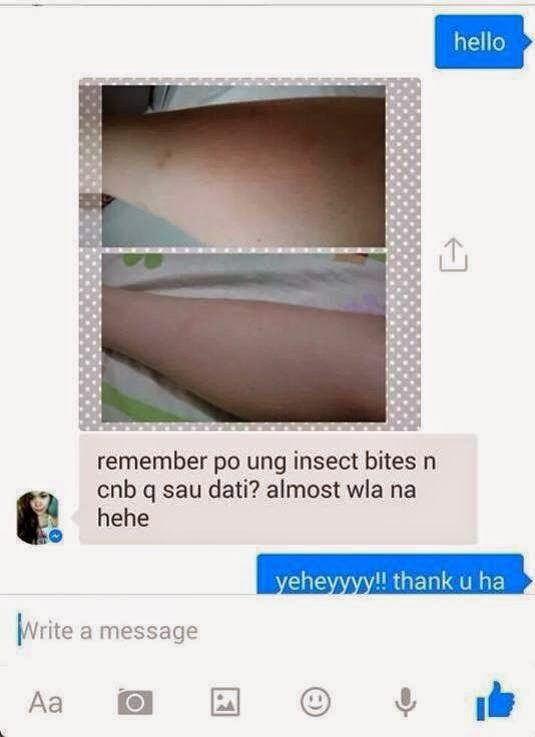 Maldita Bleach or what was commonly known as MB was taking the online community by storm. They were a lot of raves about the product regarding it's effectiveness and I cannot wait to try it myself. Thanks to Dress Icon who's one of the trusted reseller of this item for sending me 6 tubs of MB a month ago. I just got too excited that I immediately used it the day I got the product. 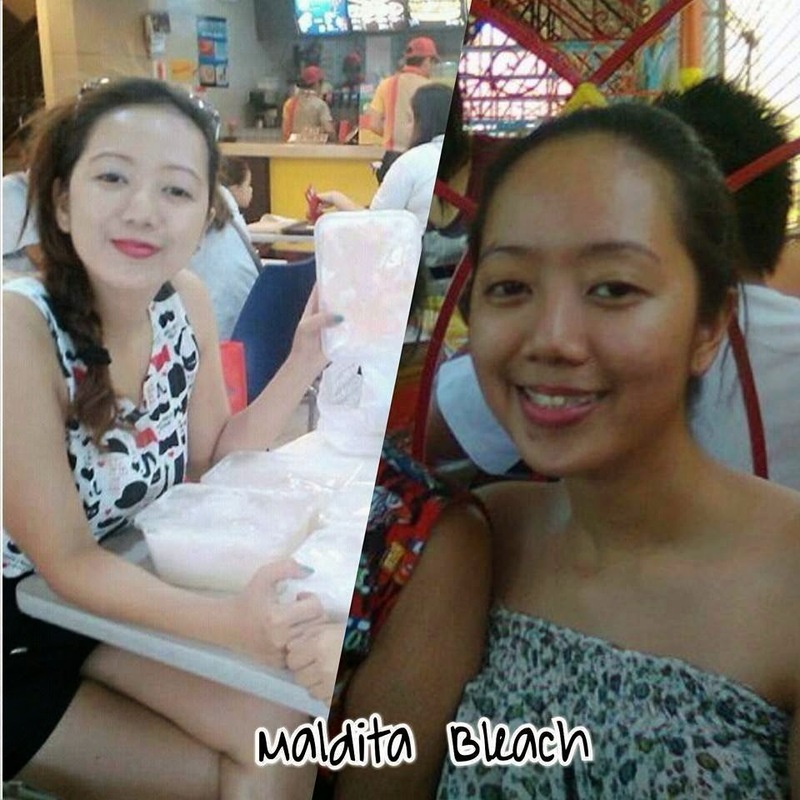 Maldita Bleach is a home-made bleaching cream which is made of natural bleaching ingredients carefully mixed together. It is proven to be safe, gentle and effective to lighten the skin by nourishing and exfoliation, giving you a youthful, radiant and glowing look. Whatever that ingredient is is a huge secret. I am really curious as how this was made but I think I can guess what are some of the ingredients upon using it. Anyway here are more detail on how to use the cream. 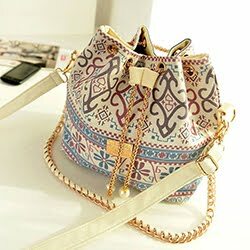 Since I am really curious, I had a lot of expectation on the product. I was a bit surprised on the packaging though because it was far from what I'm expecting. I was hoping for a more pretty packaging that allows people to rave about the product. The tub was covered with this black paper with the MB name and their model. It was just taped on the tub that once it was peeled off, you wouldn't know that this cream is MB cream. This is the texture of the cream. You know flour when you try to mix it with water and some oil? That's how it look like based on my impression. I immediately got a handful and spread it on my knees and other parts I wanted to whiten only to realize that I made a huge mistake. It's actually kinda messy doing that. So the next time I did this, I used a plastic to cover my hands to avoid being messy since some of the cream will really stick in your hands despite trying to apply everything. When I applied it on my skin, there's a tingly sensation. It was actually stated on the instruction on the tub that it's normal so I am prepared with that. But what I am not prepared was the itch. It was sooooo itchy that I wanted to remove it immediately but I swear for the sake of this review that I will finish it so you know what happened next. I waited for the whole hour before I removed it and boy, the removal process was not even easy. Since the cream already hardened, you need to use a loofah or a cloth to remove the cream. These were my target areas. But I failed continuing the process on my feet and elbow because I really feel it's kinda messy applying this and it's hard to multitask while I have this on. I ended up doing the process with my knees first but I am starting to get back on my elbows and feet. Look what happened after applying the cream, it really gets super dry so you need to amp your skin with lotion. And by the way, after cleaning the skin, remember to use Kojic Soap to get the full effect of peeling. Look! I noticed this on the 3rd day of application. I was amazed and at the same time conscious on what happened on my skin but I guess this is the effect of using the product. The peeling was actually not really visible unless you'll zoom in your eyes on it so it's still safe to wear shorts or dresses for this matter. No Edits, No Filter on the whitening part. I only added the photo details. Now, I am on the feet and elbow part which until now shows very very little signs of improvement. Though I'm happy that it's peeling very lightly. 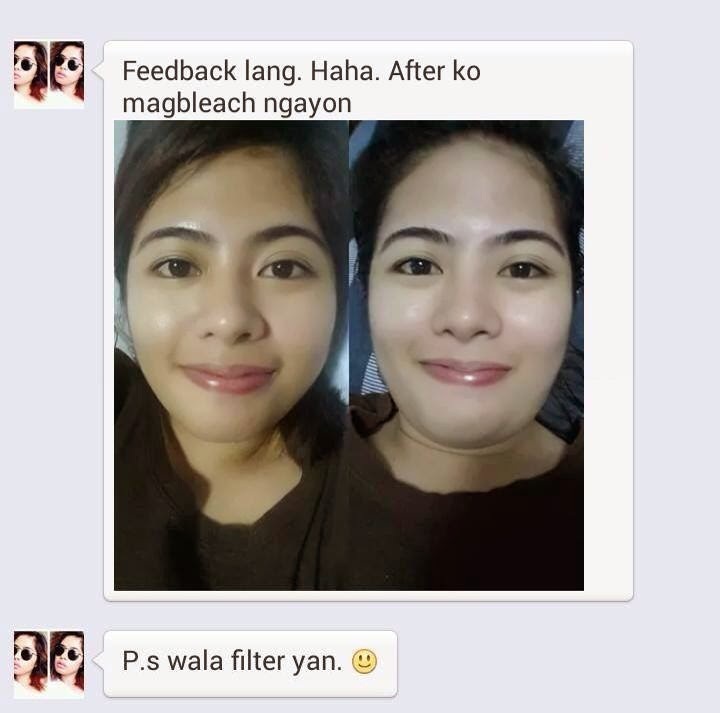 To test more of Maldita Bleach effectiveness, here are some of the feedback from different customers who experienced the product. Credits to all the owners of the photos. I got the photo from Dress Icon FB page with permission. 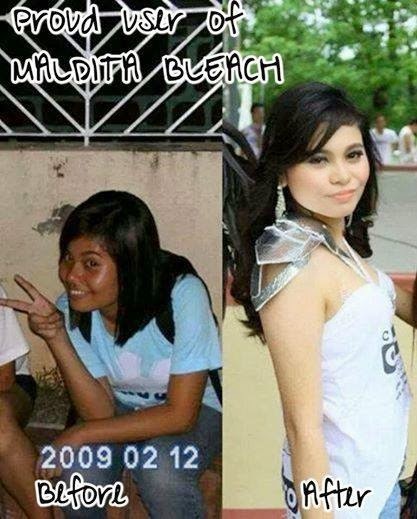 Maldita Bleach is so trending and they got a lot of customers day by day. So if you want to get one for yourself,it's P200 per tub and a tub is good for 2-3 days if you'll use it in the whole body. It's good for 7 days if it's for target parts. They also have an ongoing promo where you'll buy 5 tubs, you'll get 1 FREE. Makes the bleached skin smooth! It's messy when applied and even hard to remove. The whitening is not too visible for fairer skin. Overall I think the effect of the cream was difficult for my skin. Maybe because I am already fair that the peeling and whitening was somehow not taking effect fast. I was actually wondering how the users from the photo I grabbed above turned to be super white and some actually had effect on their skin after the application itself. I guess it has a different effect on different skin. Still, I prove the effectiveness of this cream. You should try it yourself too! Yes sis. just get from her. She's legit! wow.the effect is so visible! These elements are some famous herbal whitening sellers and they do away with impurities from pores and skin efficiently.